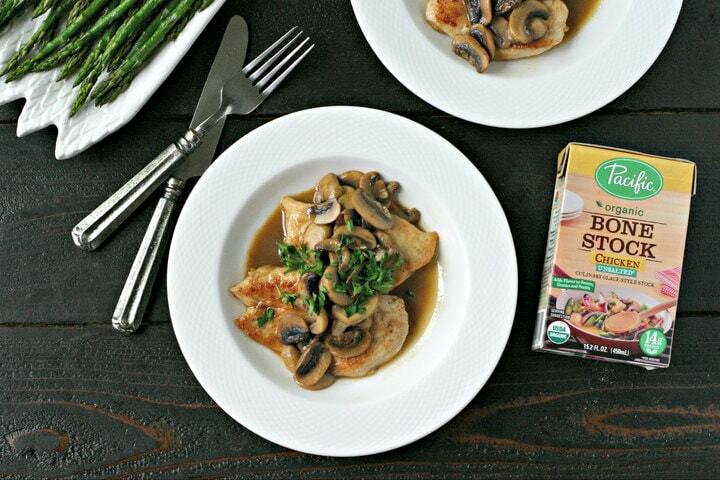 Gluten Free Chicken Marsala. A well-loved classic made grain and gluten free. Plus, a low-carb option. It doesn’t get easier! 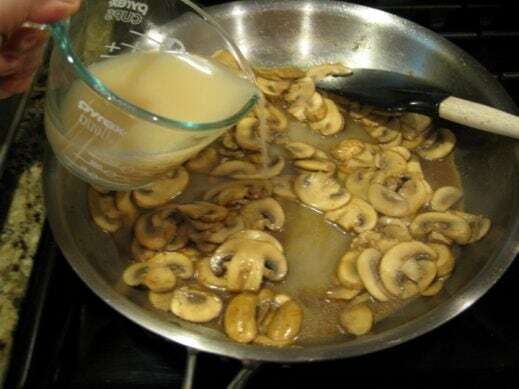 I don’t remember exactly when I started loving mushrooms but when I think about them, two of my favorite childhood dishes immediately come to mind. One is New York strip steak with sauteed mushrooms and melted provolone cheese. 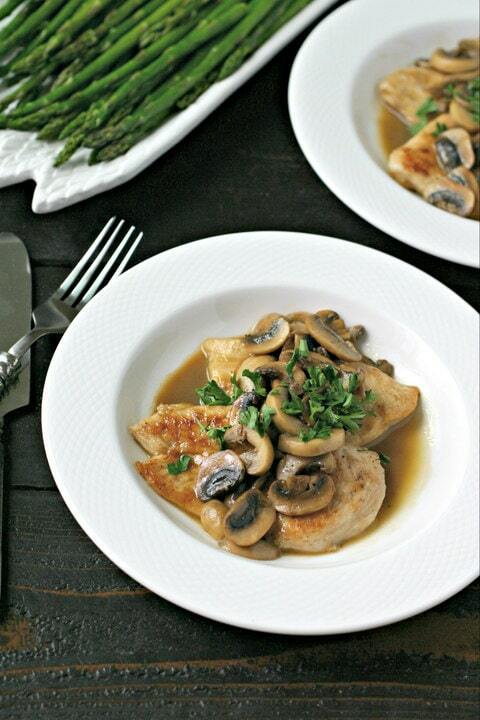 The other is Chicken Marsala. 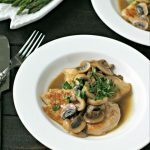 My mom kept her Chicken Marsala pretty classic but always made sure to double or triple the amount of mushrooms. 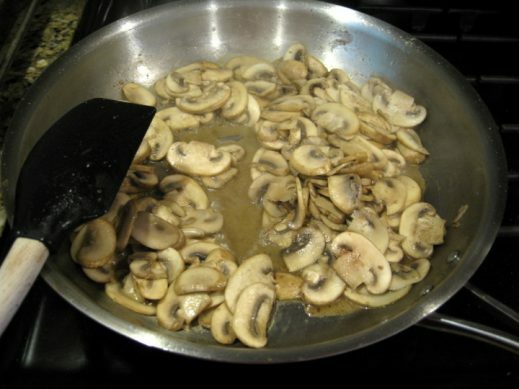 Mushrooms are pretty watery and like spinach, reduce down significantly when cooked. 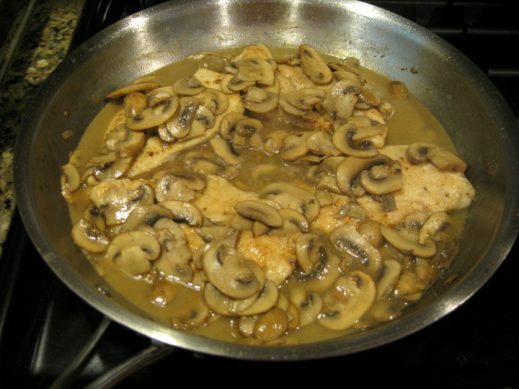 One of my pet peeves is Chicken Marsala with too little mushrooms or too little sauce. No Bueno. 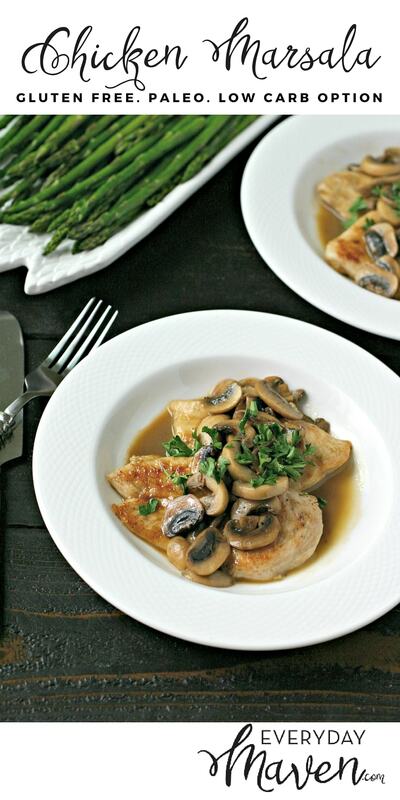 My version is easy and has so much flavor and plenty of mushrooms and sauce. For the sauce, I am showcasing Pacific Foods Organic Bone Stock Chicken Unsalted. It is the perfect stock to build the sauce from since it is unsalted and the concentrated flavor of the bone stock is rich and intense. 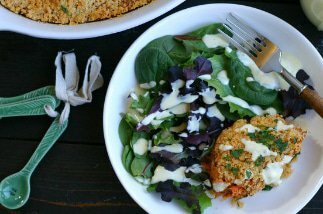 I used cassava flour to lightly coat the chicken but have also made this exact recipe with both gluten free flour and almond meal. So, use what you have on hand. As for the dairy, gah – butter is what makes the sauce. I have tried it with Ghee but it just wasn’t the same and truthfully, a little oily. We love to serve this with asparagus and steamed rice or cauliflower rice to soak up that delicious sauce. I know you are going to love it! 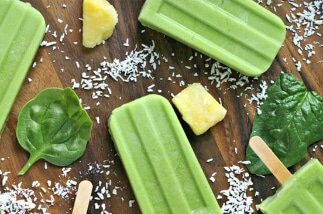 For Grain Free: Use either cassava flour as written OR replace with 1/4 cup of almond meal. 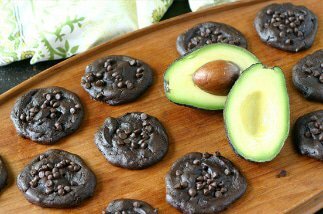 For Low Carb: Omit cassava flour and replace with 1/4 cup of almond meal. For Gluten Free: Use cassava flour OR 1/4 cup of your favorite gluten-free flour OR 1/4 cup of almond meal. 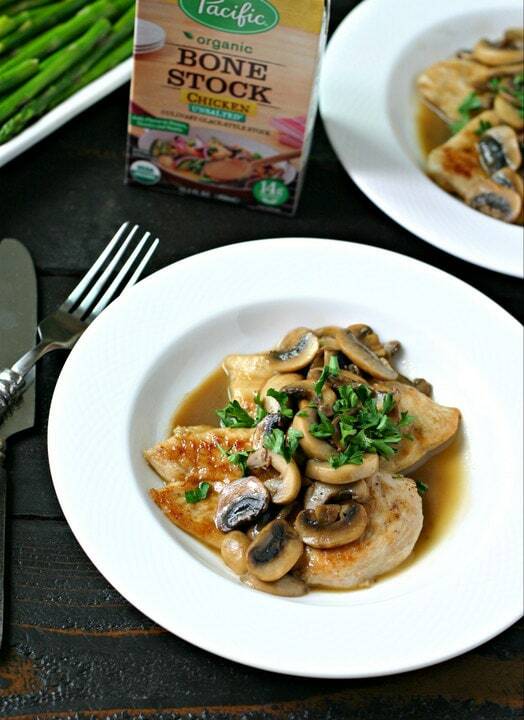 Gluten Free Chicken Marsala. A well-loved classic made grain and gluten free. Plus, a low-carb option. It doesn't get easier! 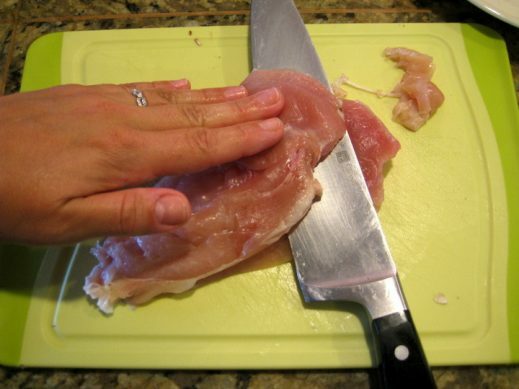 Prepare the chicken by slicing the breasts into cutlets and pounding until thin. Click here for a Tutorial. Alternately, you can purchase chicken cutlets instead of the whole breast but they are usually $2 to $3 more per/pound. Sprinkle each piece of chicken (both sides) with kosher salt and freshly ground black pepper. Pour flour onto a flat plate and sprinkle with a pinch of salt and a pinch of pepper. 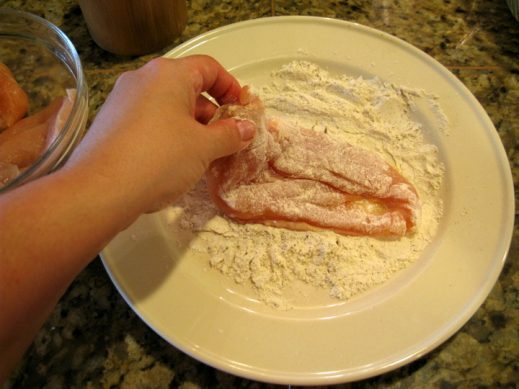 Dredge each chicken cutlet into the flour (both sides) and set aside. 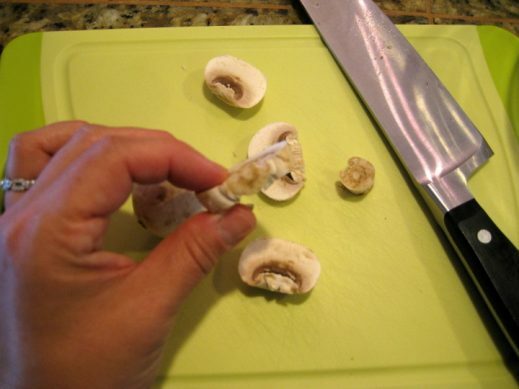 Trim stems of mushrooms and slice into 1/4" thick slices. Roughly chop parsley and set aside. Heat a 12" frying pan over medium high heat. Once hot, add 1 T of olive oil and 1 T of butter. 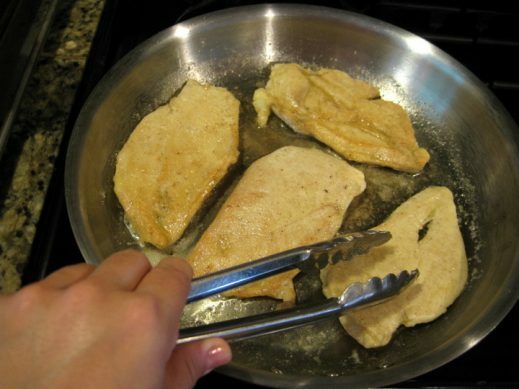 When melted, add in chicken cutlets and cook 3 to 4 minutes per side, turning once so they brown. Remove from frying pan and set aside. 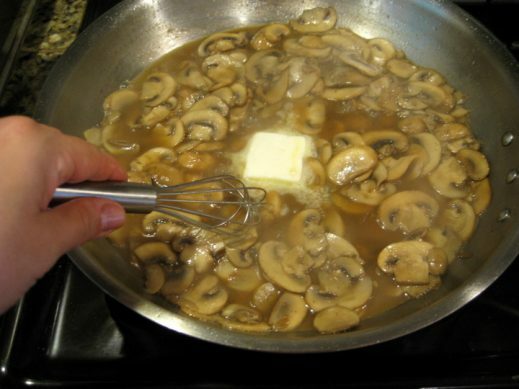 Add remaining tablespoon of olive oil and then sliced mushrooms. 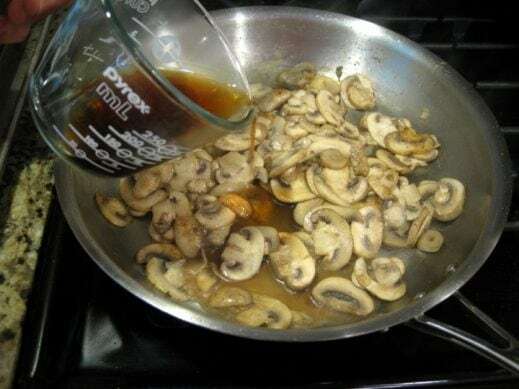 Saute mushrooms, 8 to 10 minutes, stirring frequently, until liquid is released and cooks off and mushrooms begin to brown. Add Marsala wine and reduce by half. Next, add Pacific Foods Organic Bone Stock Chicken Unsalted and continue to cook over medium high heat until liquid is reduced by half. Whisk in remaining 2 tablespoons of butter. Add chicken back to the pan to heat through. Serve topped with freshly chopped parsley and Enjoy! 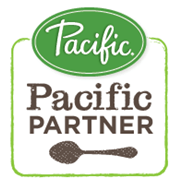 DISCLOSURE: This post is part of a series of posts sponsored by Pacific Foods. Pacific Foods has compensated me for my time to develop this recipe as their 2016 Brand Ambassador for Broths. Thank you for supporting the brands that make EverydayMaven possible. All opinions are my own. I would like to make this for a bridal shower for 24 people. If I made ahead of time and froze it in foil pans, what would be the best way to reheat it and does freezing it take anything away from it? Thank you! How did it turn out Mary Lee? What method did you use to reheat? So glad you liked it Anne! Thank you so much Louise!